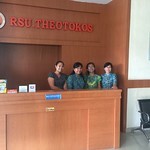 Bali - Assist the Orthodox Church in Indonesia with its ongoing mission by being part of a youth and family-focused ministry in Singaraja, Bali. Teach about the Orthodox Faith and Christian understanding of spirituality, prayer, family life, and fellowship while providing a visible witness of the Faith. Watch this short video of the ongoing mission efforts https://youtu.be/hjVAIfDfp3E. 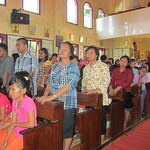 Medan - Teach the Faith at three Orthodox schools that are planting the seeds of Christianity in North Sumatera where Islam is a majority religion. 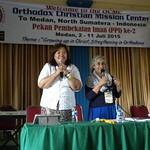 This OCMC Mission Team will be assisting the Church in Indonesia. Watch this short video of the ongoing mission efforts https://youtu.be/hjVAIfDfp3E. October is Support a Mission Priest (SAMP) Month! 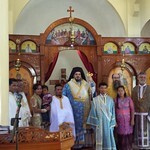 Double Your Impact with a Gift to the Orthodox Christian Mission Center! 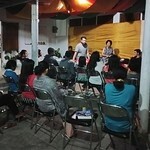 Take Up Your Cross, Help Share Christ in Indonesia!